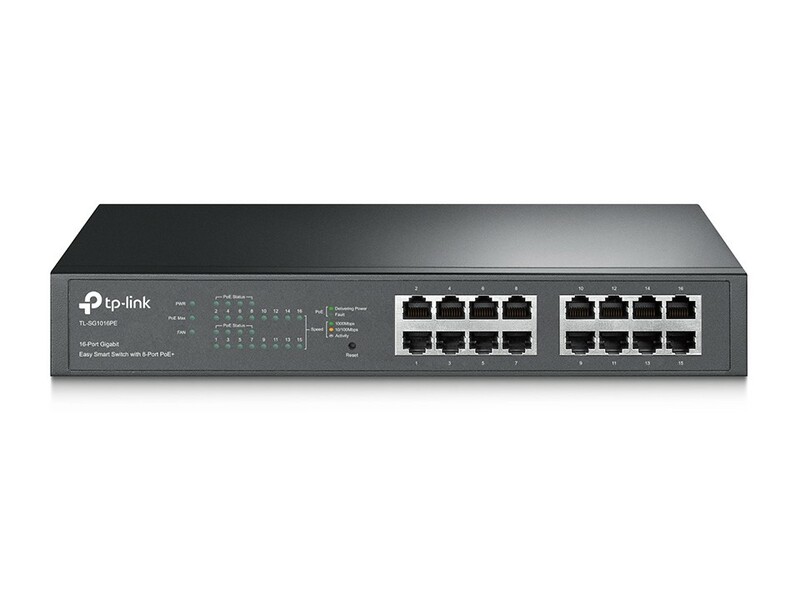 The TL-SG1016PE is an 16-Port Gigabit Desktop/Rack mountable Switch with all 16 ports supporting the PoE+ standard. It provides a simple way to expand a wired network by transferring power and data over a single Ethernet Cable. 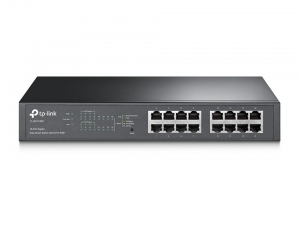 With a total power budget of 124W, up to 30W per port, TL-SG1016PE can power more high-powered devices such as wireless Access Points (APs), IP Cameras or IP Phones. Moreover, with innovative energy-efficient technology, the TL-SG1016PE can save up to 75% of the power consumption, making it an eco-friendly solution for your business network.